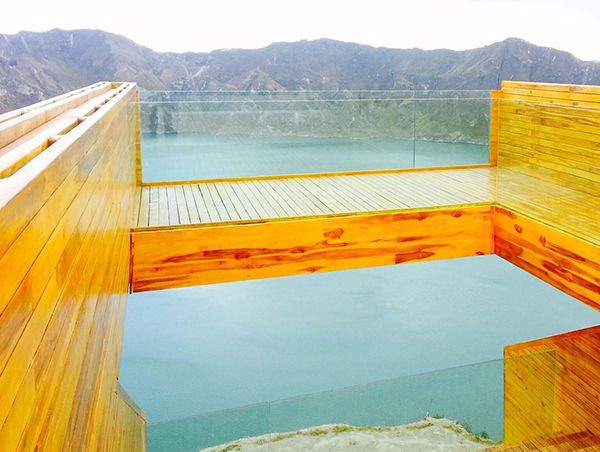 The Quilotoa lagoon (3850m – 12,631ft) is reached by one of the most beautiful routes connecting the highlands with the coast. 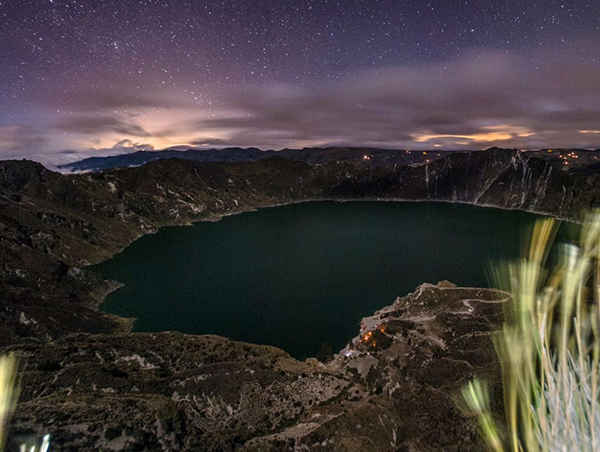 This volcanic crater is filled with a beautiful emerald lake. 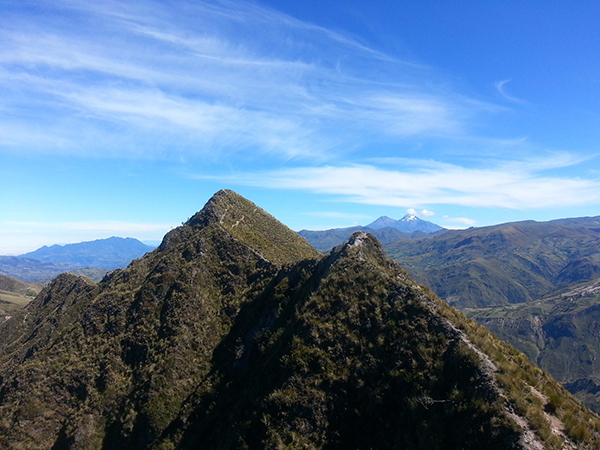 Hiking from Laguna Quilotoa to Chugchilán we will have beautiful views of the Toachi River Canyon. 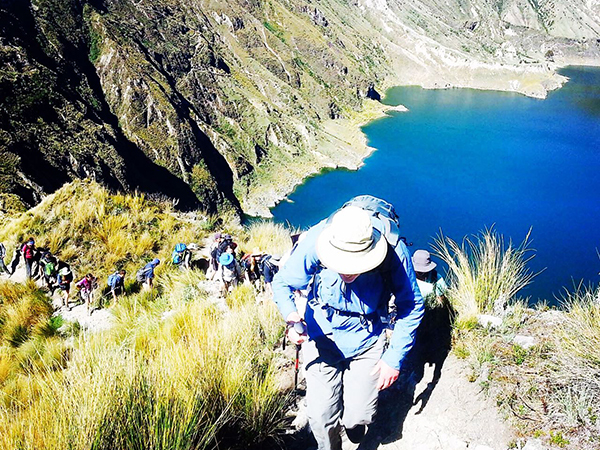 First we will walk along the crater edge with impressive views of the lagoon inside, then descend to the plateau of the small indigenous village Huayama. 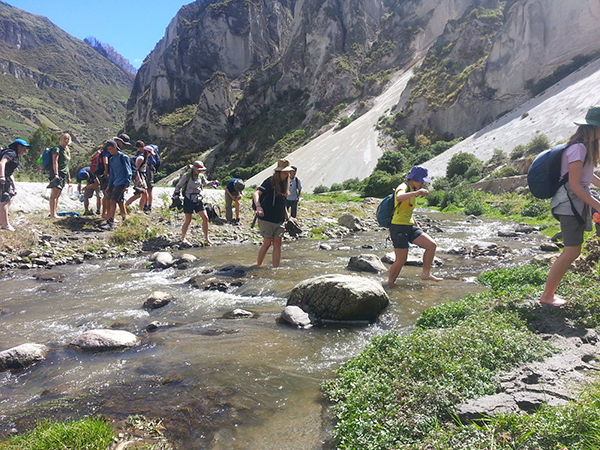 As we descend the switch back trails down to the Toachi River Gorge, the climate and scenery change dramatically. Soon we will be surrounded by the canyon walls and hike along the river banks. The hike ranges from 4 to 5 hours and is moderately challenging. We will be staying at Cloud Forest Hostal. It is a basic, but a friendly and clean hostel run by José Luis. Chugchilán is a well known destination for hikers and a typical mountain region village in Ecuador. It has a small plaza, a church and a school, and most of the people still use a horse or donkey as transport. Here you will feel like you have gone back a few hundred years in time. Cotopaxi National Park tour is an exciting day that begins with spectacular views of the unique Andean landscape in the “Avenue of the Volcanoes”. Inside the National Park we will first have time to take pictures and your guide will provide more information about this amazing volcano. After, you will begin a short trek around Limpiopungo Lagoon for about an hour and we will continue in the car to the parking lot at 4500m height. From there we start the walk to the José Rivas Refuge at 4864 m. Rest at the shelter with a hot tea and then we will return to the parking lot. The journey finishes with a delicious lunch at the Andes Alpes Cafe, before returning to Quito. All transport by private vehicles during the program when needed. Accommodation and meals while in Quito.